Well this depends if your wall is Plasterboard or Concrete. 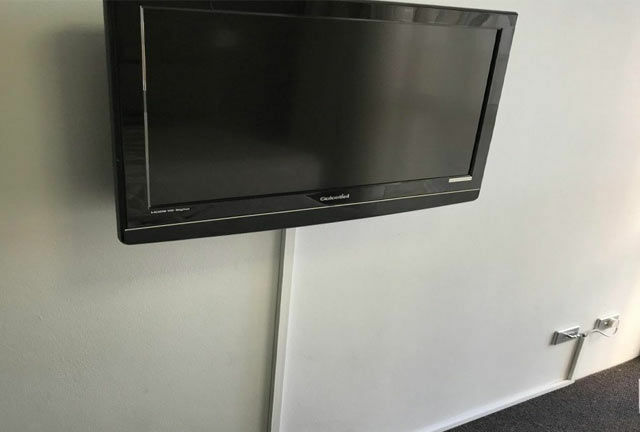 Generally when it is plasterboard the process is easy for our team so we can conceal cables in 90% of plasterboard walls. If you’ve been keeping up with the tech world in recent years and months, the chances are you’ll have heard of Google Glass, the eyewear which allows you to interact with the world around you, simply by looking in the corner of your eye (where the small display is). Sonos Sue Denon, claiming Denon is violating four patents. Sonos the global leader in the wireless audio market has lashed out at the new Denon Heos claiming it infringes their patents. The global research and development team for the new Denon Heos which is distributed by Melbourne based Qualifi is based in North Sydney. What happened in August? The Integrate expo happened, that's what. We flew down Tom Romari, our Brisbane manager for a few days and jumped in the deep end of some phenomenal technology being presented over the three day period. The Modball Rally kick’s off Saturday morning for charity! I hope you're well. Universal Home Theatre has sponsored team 'Makin It Rain' from Capalaba's Holden dealership! The Modball Foundation is a non-profit charitable trust set up to give young disadvantaged children the opportunity to experience the world of motor sport. Tears and Joy for ‘The Block’ winners. After an emotional roller coaster for the 5 teams on the block over the last 4 months, it has finally come to an end. In a shocking auction that has left 2 couples with only $10,000 profit, the finale was met with tears. As everyone has seen the end of the DVD rental era, more and more are turning to digital technology. Movie streaming is following suit to the US and becoming predominant in Australia. With small and large companies coming to the table. Quickflix is Australia’s version of Netflix. One of Quickflix’s advantages is that Netflix is so far, blocked to the Australian consumers. Revolutionary technology on it’s way. If you have never tried installing a projector before, the process can be quite puzzling. The process may take 2 to 3 hours for most installers to do it, for a DIY install, the process may take a little bit longer. Most executives use Audio Visual systems for their company to share data or information about their respective departments during meetings, seminars, conferences and trainings to communicate with outside organizations.